bet you guys love to play Angry Birds. If you are fond of playing all kinds of other cool games too, or you love to go out in the company of your favorite tracks I am going to show you a gadget that will always keep you amused. 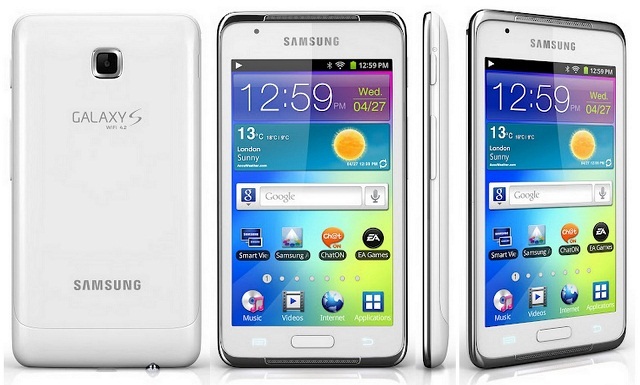 This smart entertainment gadget is called Samsung Galaxy S 4.2. It is supposed to compete with Apple Ipod player. The other name Samsung uses for this music gadget is a compact Android tablet. It runs the Android 2.3 Gingerbread platform which is already outdated in comparison to the new Jelly Bean version. Its shape impresses with elegant curves, the device is pretty thin as well only 0.35 inches. The plastic casing comes in black and white and has a glossy surface. This entertainment gadget offers a great bright TFT capacitive multitouch display at 4.2 inches. It delivers great vivid colors and a wonderful sharp detail. The resolution is 480×800 pixels at 222 pixel density. This wonderful big screen is suitable both for watching videos and playing games too. It sensor technology provides immediate software response to your touch commands. 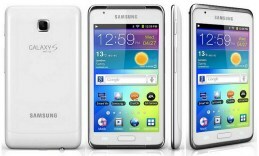 Samsung Galaxy S brings to you all the apps available in the Google Play store. Now you can play and enjoy your music without having to worry that you will not be able to make call if the battery dies. It is a wonderful entertainment and internet browsing gadget at only 118g weight. The performance is decent with the single-core 1GHz processor in combination with the 512MB RAM. The built-in memory is 8GB but there is an expansion option thanks to the microSD card slot that can increase the memory up to 32GB. You can store thousands of videos and hours of your favorite tunes. This fun-and-play device it features a 2MP rear camera. It also captures video in 640×480 resolution. There is also a second 0.3 MP front camera for video calls. This gadget is equipped with and accelerometer and a gyroscope sensor so that you can initiate controls by moving it when you play games. The built-in memory available to the users to store their contents can be either 8 or 16GB. The sound is delivered by the two line speakers on the top and bottom side. The sound quality is excellent thanks to the Sound Alive audio system. Both the stereo speakers which are positioned on the front and the headphones deliver a great sound. This entertainment buddy in a glossy white shell will never let you get bored as you have full access to download and play the thousands of apps and games in the Google Play store. There is a micro USB port of the bottom of the device just next to the headphone jack. The 1500mAh Li-Ion battery on board will provide 40 hours of audio playback and around 6 hours of constant videoplay.